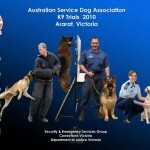 The Australian Service Dog Association recently held their 2010 National Championship Trial in the town of Ararat, Victoria. 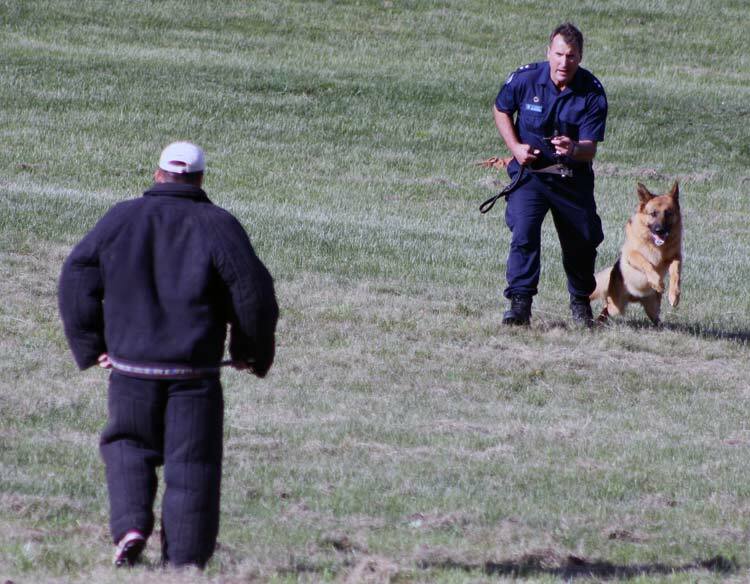 Around 40 highly trained dogs and their proud handlers gathered from all over the nation to represent their various agencies over 2 days of intense competition. This year the teams were competing for more than just pride and bragging rights, however. 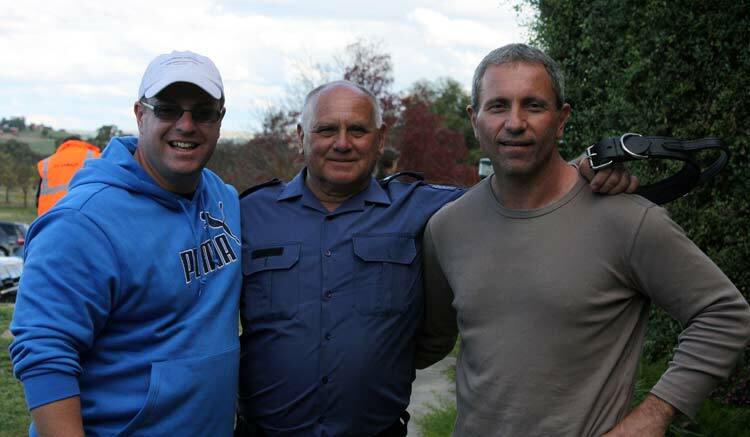 In a combined sponsorship effort, Von Forell Australia and Seeuferhause Rottweilers provided significant and essential financial support to the event. 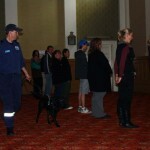 “We are hopeful that this premiere event being open to the public in this way will signify a positive shift in Australian working dog culture, a shift that moves government agencies and the private sector both towards closer working, breeding, and training relationships.” stated Laurie Boutzetis, owner of Seeuferhause Rottweilers. 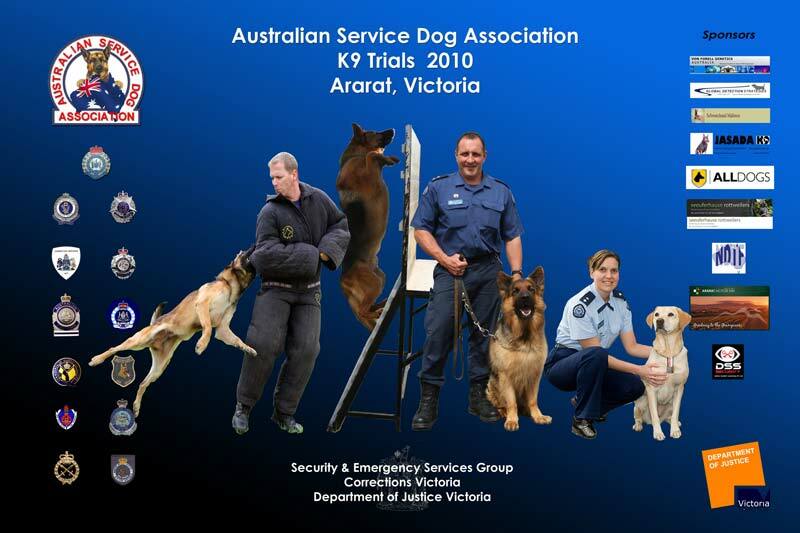 “By offering a significant level of sponsorship to this event we aim to express our support and respect to the participating agencies and their dogs, and to promote meaningful conversations surrounding the breeding, development, selection and training of the highest calibre working dogs.” said Kris Kotsopoulos of Von Forell Kennels. 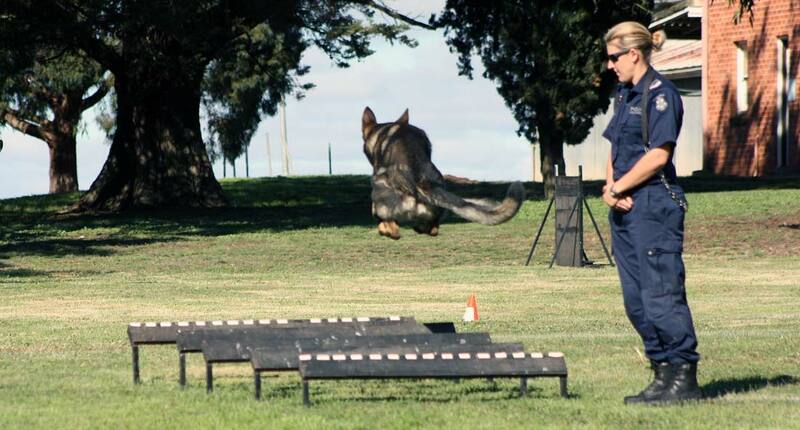 The 2 full days of sizzling competition studded with stellar performances by the k9 competitors and their handlers saw competition in tracking, scent detection, offender work, obedience, and agility. 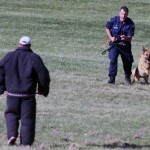 Hosted by Corrections Victoria, and held on the grounds of the former Aradale Mental Facility, entrants and their dogs were judged on practical working ability and teamwork in an amazingly realistic environment. 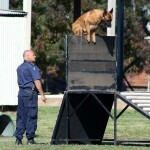 “As a dedicated breeder of working Rottweilers, I revel in seeing any dog working in sync with its handler. 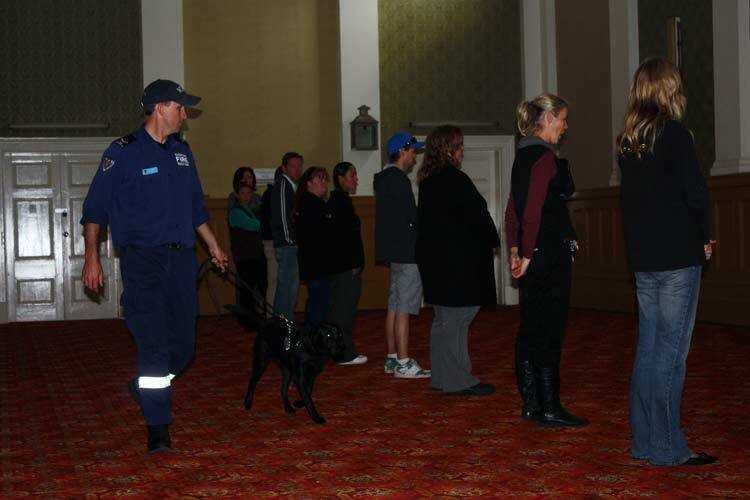 The very best part of sponsoring this elite event was being able to observe just how deeply committed every single one of these service dog teams is to achieving practical excellence through realising each dogs full potential and maximising the canine-human bond.” shared Mr Boutzetis enthusiastically. 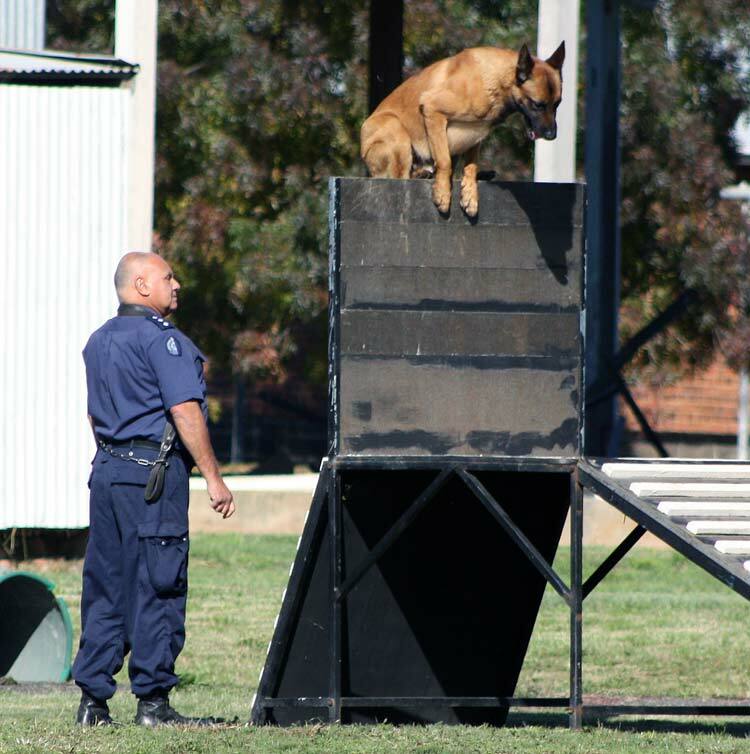 “When training in Europe it constantly impresses me in the way that military and law enforcement units interact with the greater working dog community. This means that there is a much greater level of communication and mutual benefit than currently exists here in Australia, although things are slowly beginning to head the same way here as a result of quality events like this. 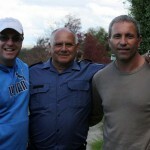 With the high level of skill and understanding displayed by the agencies represented here, it is truly mind boggling to imagine what could be achieved by even further sharing and liason between the agencies and the private sector.” said Mr Kotsopoulos. Forell Dog Products also had a presence at the event in the form of a well stocked trade stand, offering an opportunity for agencies and their handlers to try, view and purchase professional quality equipment. 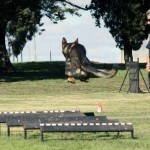 “By far the biggest selling items during this trial were the Schweikert tugs, grip pillows, and training balls. 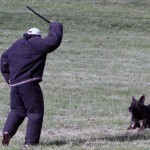 I believe this clearly illustrates what a massive focus these handlers and agencies place on maximising drive and grip development in their dogs. 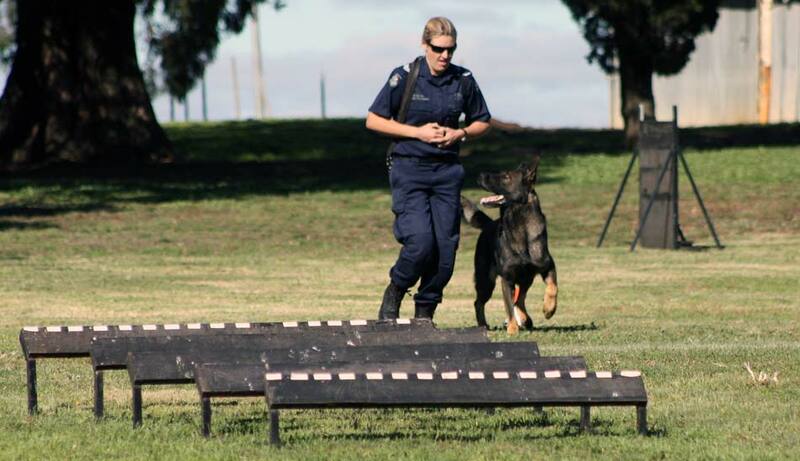 It is also an excellent example of the power of play in high quality dog training, and this commitment to the dog is clearly visible in the excellent overall performance of these working dog teams.” commented Kris Kotsopoulos. 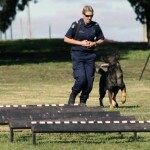 As a result of the success of this year’s event Von Forell Australia and Seeuferhause Rottweilers have already expressed interest in sponsoring next year’s event, and would both like to extend their thanks to all competing agencies, dogs, and handlers. Special thanks is also offered to Corrections Victoria for organising such an enjoyable and smoothly run event, and such a high quality venue and facilities.